Standard sized pallets are only one of the type pallets we supply. Our sales staff works with each customer to develop the right pallet solution for their specific needs. 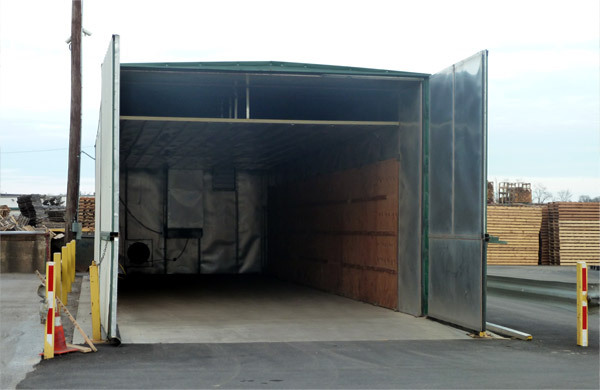 In addition to a large variety of stringer pallets, we also supply block pallets, steel skids, plastic pallets, steel pallets, and wood top frames. These pallets are constructed using various customer specified species of wood, such as high density or low density hardwood, a variety of softwood materials, plywood or Oriented Strand Board (OSB). Even though most pallets are ordered in truckload quantity, we will also supply quantities of less than truckload or mixed sized loads. 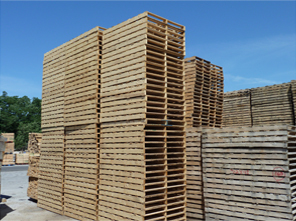 RCD Timber Products, Inc. can also help our customers manage their pallet usage with a Vendor Managed Inventory (VMI) program. Our expertise along with our computer aided Pallet Design System (PDS) enables RCD Timber Products to design the best shipping platform required to get a specific load from point A to point B, utilizing only the amount of lumber required. This software is a computer aided design tool that takes into account several factors such as pallet strength, deformation and durability and applies that data to your specific needs. It enables us to design a pallet that meets or exceeds specific performance levels. The benefit to our customers is the most cost effective pallets on the market. Click here for a sample PDS composite drawing. Need your new pallets to comply with ISPM regulations? We are completely ISPM certified. We maintain our own heat treatment chamber on site and can heat treat any style of pallet or lumber making your wood packaging compliant throughout the world. Recycled pallets have become a large part of the pallet industry, and RCD Timber Products leads the way in used pallet sales, pallet repair programs, and remanufactured pallets. Recycled pallets can be put back into the system at a much reduced cost compared to a new pallet, and they minimize the impact of used pallets on our environment. RCD Timber Products offers top dollar to buy standard spec pallets from our customers that they would otherwise need to dispose of. These pallets are repaired and re-sold as quality used pallets. 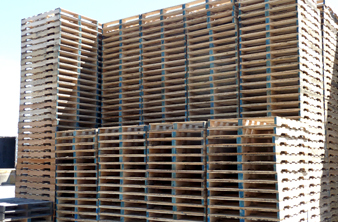 The most common of these type pallets are 48"x40" 4-way pallets. Several grades of used pallets are available. Call one of our sales associates to learn which pallet would work best for your company. Why dispose of a pallet that still has useful life remaining? If you have pallets in your inventory that simply need to be repaired, RCD Timber Products can set up a pallet repair program to get this pallet back into your operation at minimal cost. These programs are available for any size or type of pallet. Remanufactured or combo pallets are a great way to utilize lumber that would otherwise end up in a landfill. If a pallet with no resale value due to size needs to be disposed of, it can be dismantled and the good lumber can be processed into usable boards. What cannot be re-used is shredded into mulch. RCD Timber Products leads the industry in building quality remanufactured pallets with this viable lumber. Depending on the pallet size, there may be a need to use a combination of new and used lumber. Remanufactured pallets are available in any size or type, and can provide you with significant cost savings. Just as with new pallets, Vendor Managed Inventory programs are also available for remanufactured pallets. In an effort to be environmentally responsible, RCD Timber Products, Inc. has positioned itself to aid its customers in removing their scrap pallets in a way that would prevent them from ending up in landfills. 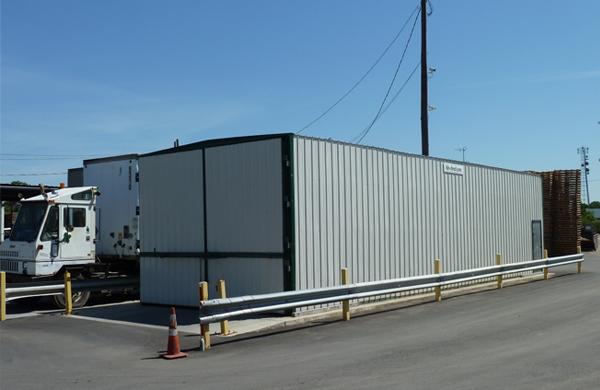 RCD Timber Products, Inc. has in excess of 125 trailers in its fleet that can be spotted at a customer's facility primarily for the removal of scrap pallets, scrap lumber, and scrap paper. This process is more cost effective than the traditional trash dumpster, and 100% of the material placed inside the trailer will be recycled, so you are helping the environment along with saving money. Wood pallets destined for a landfill are now dismantled and the used lumber is utilized to build or repair other pallets. All other lumber that is not usable is sent to our high speed grinder to be processed into yard mulch. The nails from these pallets are removed and also recycled. RCD Timber Products, Inc. can also receive and process scrap paper. We accept corrugated product that is already bailed or loose. All product is bailed and sent to paper mills to be turned into other paper products. Call one of our Sales Associates to see how RCD Timber Products, Inc. can help you meet your recycling needs. 9BLOC is a cooperative block pallet pool established by a group of white-wood pallet industry leaders, including RCD Timber Products, Inc. The cooperative is targeting manufacturers and distributors who are working to meet Costco Wholesale's and other retailers' 48 x 40 block pallet mandates. The 9BLOC program can be tailored to meet your company's specific needs, including outright purchase, rental, and cost per trip. 9BLOC is marketing to suppliers who don't want to ship on the traditional rental providers but need a white-wood alternative. If you are a supplier to one of these large retailers and don't want to get caught in the web of large pallet rental companies, 9BLOC is the solution for you. Please contact one of our sales representatives to learn more about how RCD Timber Products and 9BLOC can help. Click here for more information about Heat Treatment. RCD Timber Products runs a fleet of 6 tractors and more than 125 trailers. This equipment is used to service customers within 150 miles of RCD Timber Products' facility in New Castle, Delaware. This fleet gives us the flexibility to deliver new and used pallets to our customers, as well as pick up repairable or scrap product to bring back to our facility for further processing. Having our own fleet enables us to control our transportation costs and ensures we can meet quick ship orders. For the long haul, we have affiliations with several motor carriers and freight brokers that can move product throughout the country at very attractive rates. In its effort to be environmentally responsible, RCD Timber Products produces wood mulch. 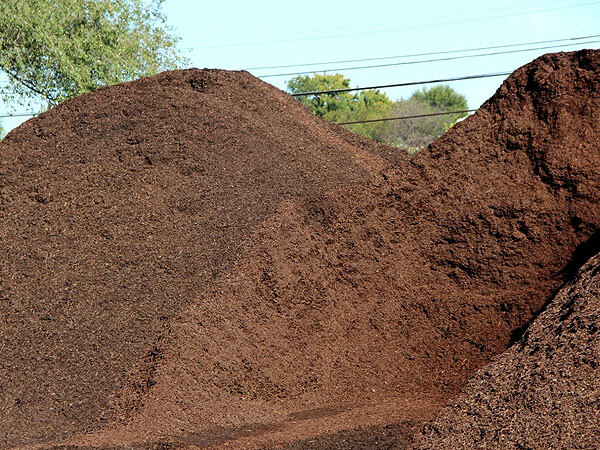 Our mulch is derived from wood scrap that is not useable and would otherwise be disposed of in a landfill. RCD Timber Products takes the extra step to remove the nails, grind this wood scrap and color it to produce attractive yard mulch. 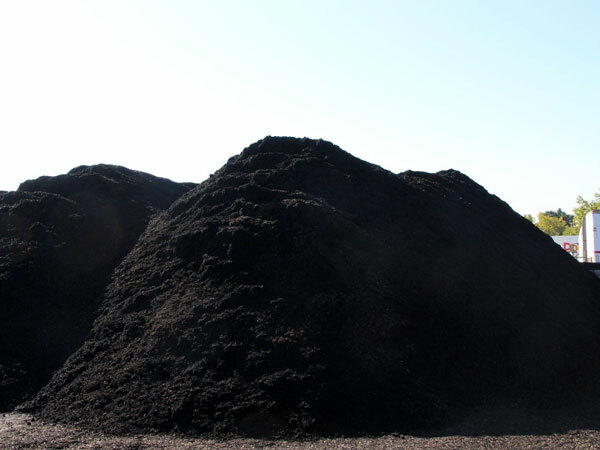 Our colored mulch is ground to a consistent size and is available in both black and brown. We offer delivery to customers purchasing truckload quantities, or you can pick up the mulch at our conveniently located New Castle, Delaware facility. Let RCD Timber Products, Inc. be your premier mulch provider.